Here in Texas Spring is right around the corner. I present proof..The Texas Red Bud (one of my favorite trees) is blooming. Since everything around it is still dormant I decided to use my new Photoshop skills to bring out a splash of color. This entry was posted in Uncategorized and tagged blooms, flowers, Fort Worth, March, Nature, Spring, Texas, Texas Red Bud, trees on March 2, 2017 by treerabold. Thank you random stranger for the reminder…. I immediately realized he was right. Why in the world was I complaining about some headwinds? The reality was, I was out riding on February 20. Layering was not required, only shorts and a t-shirt. It was a perfect spring day…in February! Thank you random stranger for the reminder to see the positive! This entry was posted in Uncategorized and tagged bicycle, positive attitude, Spring on February 21, 2016 by treerabold. 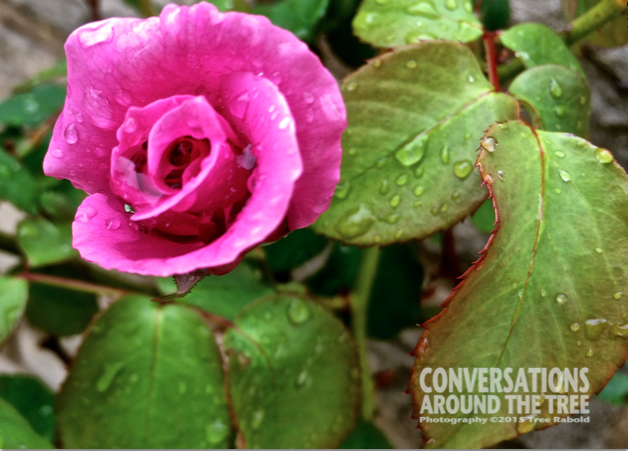 It was a rainy and chilly day here in Texas….but the flowers are blooming and that makes everything OK! 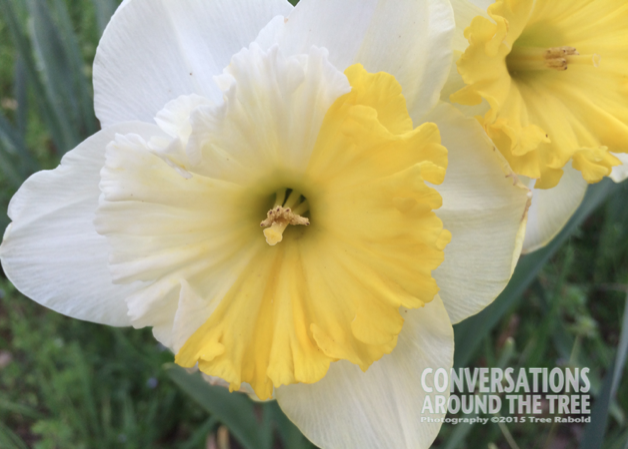 This entry was posted in Uncategorized and tagged 365 photos, flowers, roses, Spring on April 6, 2015 by treerabold. As many of you know, I have suffered greatly over my small phlox. And agonized with envy over my friend Corey’s large phlox. 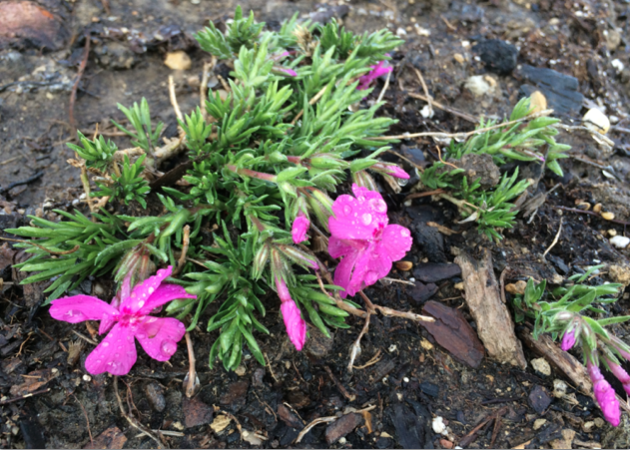 But today…despite the smallness of my phlox….I have blooms! So apparently what they say is true…..its not the size of the dog in the fight its the size of the fight in the dog….or should I say, its not the size of the phlox in the garden but the size of the blooms on the phlox!! This entry was posted in Uncategorized and tagged flowers, phlox, Spring on March 28, 2015 by treerabold. I noticed this odd little flower among the bunch and immediately thought of Midwestern Plant Girl. Plant Girl…..would you like a shot at explaining this unique genetically altered plant?! 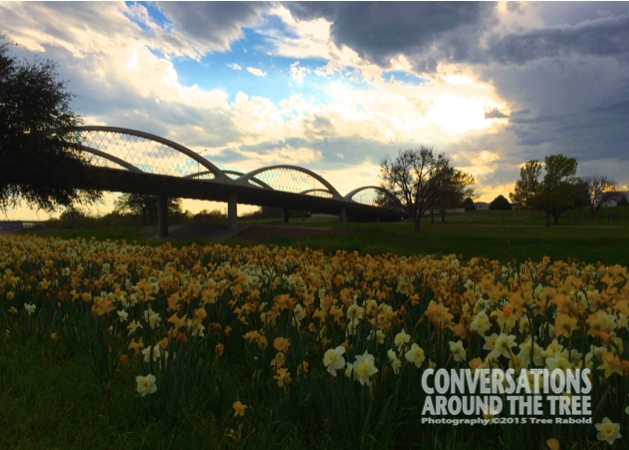 This entry was posted in Uncategorized and tagged 365 photos, daffodils, flowers, Fort Worth, Spring, Trinity River on March 27, 2015 by treerabold. 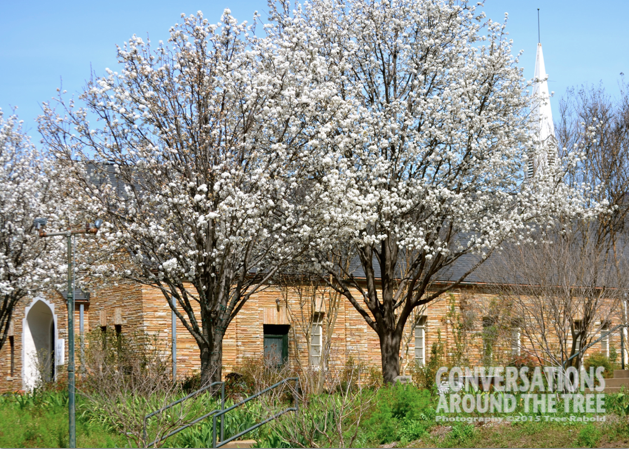 This entry was posted in Uncategorized and tagged 365 photos, chapel, Spring, trees on March 23, 2015 by treerabold. I want my phlox to be big like my friend Corey’s phlox. I planted quite a few of these little guys 2 years ago….many of them died off. But a few survived and they come back each year 3 small patches of phlox. That’s it…3 small patches! My friend Corey’s phlox are huge….they fill his flower beds with mounds of bright colors. My phlox are small….I want big phlox, just like my friend Corey. Is it wrong to covet his phlox? 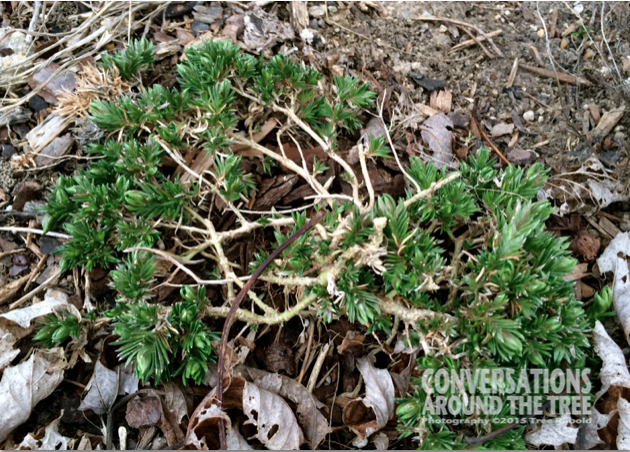 This entry was posted in Uncategorized and tagged 365 photos, flowers, photos, Spring on March 19, 2015 by treerabold.